ANT FARM (DISNEY), NECESSARY ROUGHNESS (USA), among countless others. Shawn-Caulin's coaching and mentoring skills have also helped talent in the feature film world as well with clients starring in features like READY PLAYER ONE, BLACK PANTHER, SPIDER-MAN: HOMECOMING, THE HUNGER GAMES, MICHAEL JACKSON: SEARCHING FOR NEVERLAND, Clint Eastwood's J. EDGER, THE CHANGE UP, the list goes on and on. In theatre, his clients have gone onto work on such hit Broadway shows as WICKED, MARY POPPINS, THE LION KING, and ZELDA. In this hands-on class, we will work on scenes using proven techniques and approaches that I have personally used over the last decade to help actors book tv shows and films. For the kid's workshop, we will include an additional commercial copy. This class will teach you how to develop strong auditioning/camera technique, relaxation skills, and build your confidence in front of the camera. These priceless tools have helped me as an actor secure lead and supporting roles in various film and TV productions like True Detective, Santa Clarita Diet, NCIS: LA, Grey's Anatomy and more! This practical and eye-opening class will not only jumpstart your booking rate but take your entire career as an actor to a whole new level! 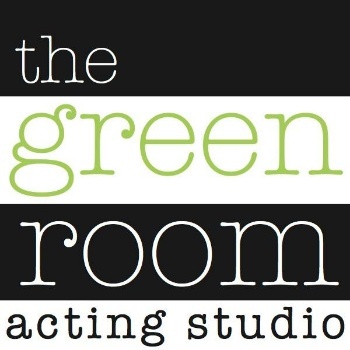 The goal of this fun and informative class is to help you connect your personal life to your craft as an actor so that every “role” means something to you – so that you will always have “personal stakes in the scene”. This class will advance your scene interpretation skills, character development, your ability to give yourself permission to play, as well as your ability to let your imagination lead you through any given circumstances and/or points of view found in the script. During this 3-hour work session, we will discuss various methods that allow one’s own life and history to play an integral part in the process of building a character based off of the text. In a larger sense, you will walk away with a greater understanding of yourself as an actor and as a human being.